The Consumer Electronics Show (CES) took place last week in Las Vegas and more companies than ever are rolling out products specifically for women. An annual event, CES is where companies release the most innovative and creative technology covering everything from robotics to home cooking. While the theme of CES is technology, not everything coming out of the show is technology itself. Some of the items we’re featuring today are developed using innovative technology that will revolutionize fashion! We shared our picks for Hottest Kids Tech from CES just a few days ago. Today we’ll be looking at which new products for Moms will be causing a stir in the coming months. Baby monitors today have improved leaps and bounds since the walkie-talkie style monitors we all grew up with. With most monitors offering video functionality, the safety and security of that video is more important than ever. 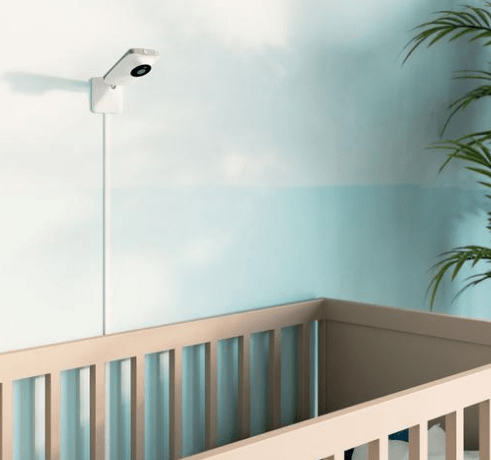 The Miku Monitor uses patent-pending military grade technology to provide both health metrics and fully secure video of your youngest family members. Each Miku Monitor includes a military grade crypto chip, ensuring that only those authorized to access the monitor can do so. This high end security feature is a first of its kind for the monitor market. Beyond the security features, Miku applies military style tracking to monitor and quantify your babies health. Over 300 beta testers participated in a 5000 hour medical study to train the Miku algorithms to tell if a baby is developing a cold or RSV directly through any kind of sleeping wrap. Miku was named Best of BabyTech in the categories of both “Baby Sleep” and “Audience Favorite” and the product’s packaging feels as premium as your first iPhone. Miku is available for pre-order today and devices will begin shipping in February 2019. Since the release of the first robot vacuum in 2002 keeping your home clean has become easier than ever. With consumer friendly price points, many families have robotic vacuums on multiple floors of their homes, navigating both bedrooms and living rooms with ease. While the convenience and accessibility of robot vacuums continues to improve, contemporary home design creates a technology challenge for anyone with both carpet and hardwood or laminate floors. Ecovacs answered this challenge at CES with the new DEEBOT OZMO 960. The DEEBOT OZMO 960 is powered by artificial intelligence, recognizing the environment around it, including household objects like socks and charging cables. This ensures vacuuming continues smoothly without a pre-run cleaning. 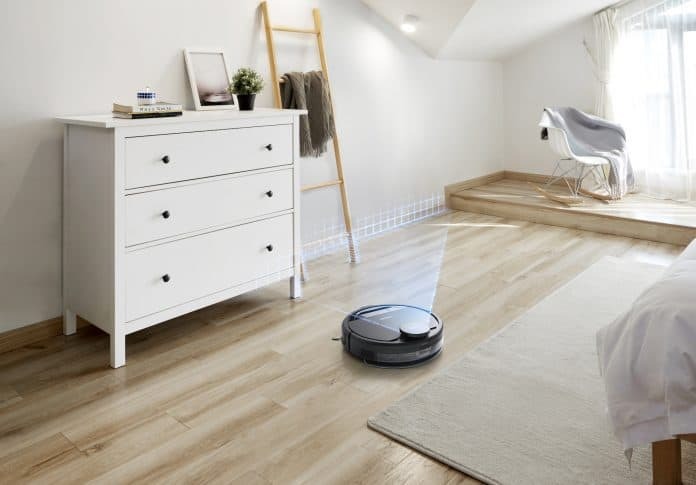 Additionally the DEEBOT works on both carpet and laminate or hardwood floors, changing dynamically to mop or vacuum depending on the surface cleaned. The DEEBOT OZMO 960 will be released in July 2019. For breastfeeding moms, going back to work is hard enough. Having to create a whole new routine focused on pumping is an outright nightmare. Thanks to Willow, clunky breast pumps are quickly becoming a thing of the past. 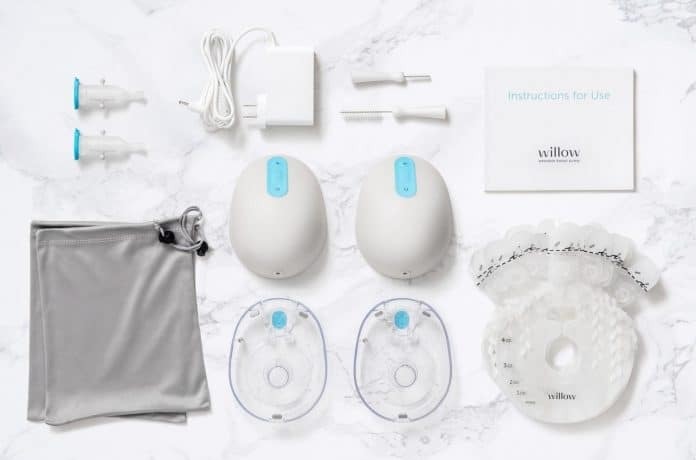 Willow is one of two wearable breast pumps featured at CES and was one of the original fully wearable products available to the public. This year Willow unveiled the 2.0 which keeps many of the existing features mom’s love at the forefront of their design while adding improvements like a clear flange and peek-through windows for easier use. Willow slides directly into your favorite nursing bra and operates completely silently as you pump. With the ability to pump in any position you can sit on a conference call or enjoy lunch without the distraction of sound and being tethered to a wall. The Willow app even tracks pumping sessions and provides on-demand feedback for tech savvy moms. 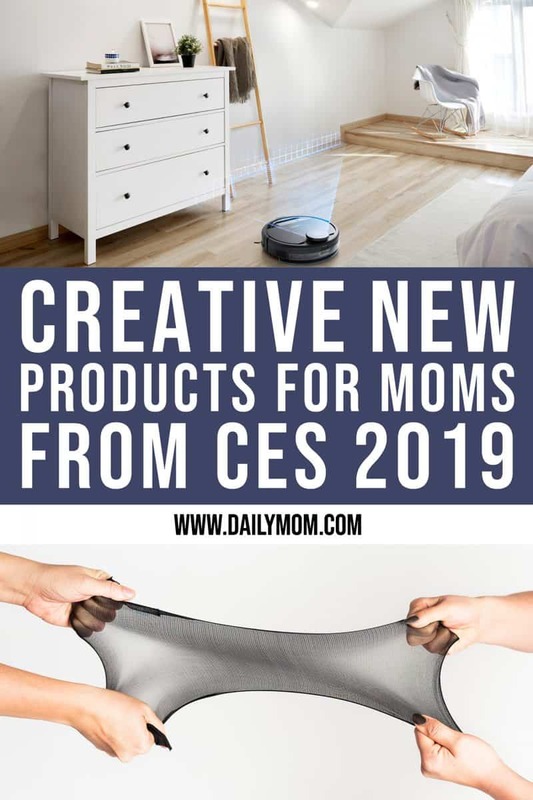 One of our favorite brands here at Daily Mom, Owlet released the new Owlet Band and received two CES awards for its innovative design. Worn during pregnancy while sleeping, the Owlet Band uses ECG passive listening to monitor the health of both mom and baby. The Owlet Band app tracks kick count, mom’s sleep position, and heartbeats of both mom and baby, allowing you to have peace of mind throughout your entire pregnancy. Moms can easily export reports for medical professionals or share with their partners to make pregnancy an experience for the entire family. This early bonding tool will help you feel closer to your baby then ever! The Owlet Band will be released in BETA during April 2018. With the average number of screens per household increasing to over 10 in the last few years, most families have one, if not more than one, tablet at home. Outside of those used by children, most tablets sit unused for 23 hours per day. Lenovo’s new Smart Tab P10 is changing how tablets are used in the household. Featuring a 10 inch screen, the Smart Tab 10 is perfect for use as an ereader or watching videos. 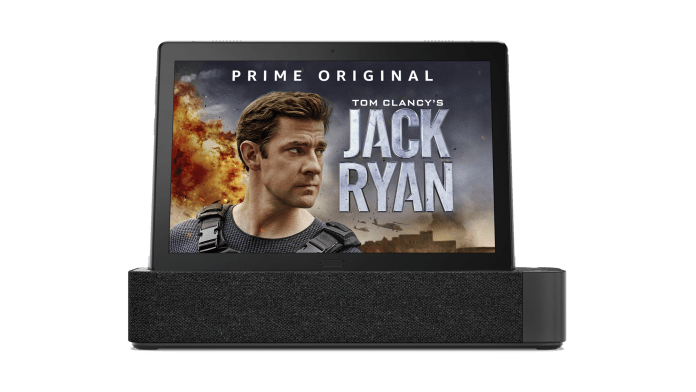 When not in use as a tablet, dock the device into the base and it will work secondarily as an Amazon Echo Show, fully powered by Alexa. With four front-facing Dolby Atmos Speakers, the P10 is the ideal solution for playing music while docked and may even replace other smart speakers in your home. If you’re like most Millennials, traditional stockings rarely grace your body. After decades of nylon pantyhose that were prone to snags and runs, wearing hose is a last minute resort only when your job or the occasion demands it. Lucky for us, Sheertex is changing the world of stockings with the release of their new unbreakable sheer pantyhose. Built using the same technology as bullet-proof vests, Sheertex is strong yet flexible and comfortable enough for all day wear. The proprietary fiber is stain, odor and moisture resistant, allowing you at least 10 times as much wear as traditional pantyhose products. 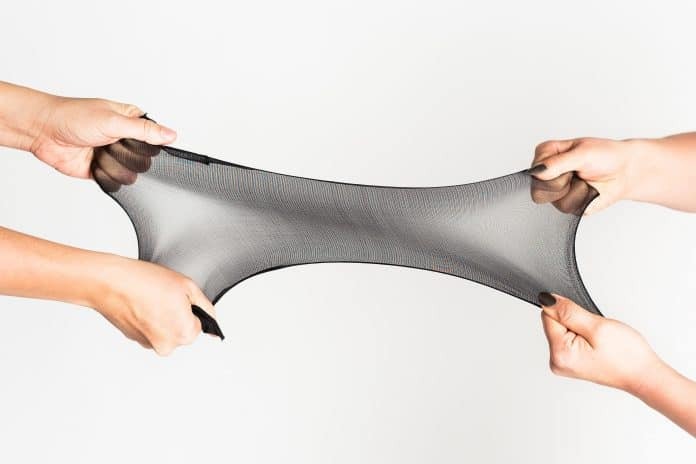 Using the 3d printing technology, Wiivv is changing how women (and men) experience their footwear. Customers use the Wiivv app to take several photos of their feet, allowing Wiivv to digitally map over 200 points on your foot. This information is than translated into custom insoles or flip flops in days. Imagine wearing your favorite high heels in comfort when you slide in the invisible Wiivv insole, properly supporting your arch no matter how long you stand. Check out this article on another product innovating parents lives, the TushBaby.